Book Review: The Half Shilling Curate by Sarah Reay. This is a well produced book, with photographic grade paper and an attractive frontispiece. One might call it small but mighty. Perhaps more so than many veterans, the thousands of Army Chaplains that served in WW1 didn’t want to draw attention to the part they played in the war effort. That is why it’s so important for people to take an interest in their story. Sarah Reay is a direct descendant of the man in this book, and she has spent four years researching his story. Filling in the blanks and tying up the loose ends to present a personal account of War and Faith. And of a man who aspired to the full measure of devotion that many gave. To begin with let’s fill in a little background. The army chaplaincy as a department began during the Napoleonic wars, and from that time to the present have provided Chaplains, commonly known as padres, to the forces whether at home or on active service. By WW1 the department was a well established part of the army, and like all the other branches, mobilised at the declaration of war. Although given the status and rank of officers, Chaplains were not properly soldiers in that did not bear arms, and back then at least, didn’t need to have undertaken formal military training, yet they were a vital part of the war effort. Padres did however have to show themselves, strong of mind and body, able to march and live rough, while not giving in to the soldierly vices that their flock were prone too. Being officers and at the same time men of God set Padres apart, much like surgeons, whose skill set gave them different roles not traditionally associated with soldiering proper. Essentially, the Padres were there firstly to hold Divine Service on Sunday’s, see to the general spiritual wellbeing of the men, and bury them when they died. Essentially they didn’t have to muck in or indeed necessarily venture closer to no man’s land than the reserve trenches. Therefore when Wesleyan Methodist Chaplain Herbert Butler Cowl kept shouldering multiple rifles and equipment on 68 Brigade’s march to the front, he was immediately set apart from what many men saw as a typically aloof padre. Cowl, one of the first Wesleyans in the ACD, found it easy to get along with people, and was determined to make himself useful outside of his duties as a padre and gain the respect of the men. He had a ready ear to hear troubles, wide, honest features that lent well to sermons, a confident voice in the pulpit and the mess and an athletic frame, weathered through a healthy love of the outdoors, which was often seen in the most advanced trenches. He volunteered to do his bit, and thankfully for posterity kept in regular contact with his family during his time in Flanders, which has allowed the present author to compile, edit and share his story during this centenary half decade. These missives are usually light, Herbert was hard man to keep down, and one gets the impression he was trying to keep the misery of war from home fires. He wrote lyrically and had a gift for setting a scene. One would be tempted to call him unlucky, except that so many officers and men shared similar fates, his time at the front could almost be called typical. For outside of his calling, Herbert’s experience was not unlike many other ordinary men thrown into war. Setting out with high hopes, soon he was unable to stop admitting that the life of a soldier was grim. Sharing the vicissitudes that soldiers have experienced in trench warfare since before the Crimean war, Herbert soon started asking for practical things, and there it is an amusing thought to think he might have been squelching through the trenches in a pair of fishing waders had not fate intervened. As he sat in a house, to the rear of the line, salivating over a tin of bully beef, the Germans began dropping a bombardment onto the British reserve sector. This was a common gunners tactic to disrupt supplies, they would often vary their discharges to catch convoys en route, therefore it was usually quiet in the rear. The bombardment landed right on top of Cowl’s billet. Herbert’s own recollections of being hit tug at your nerves. As he ran for the street, German Shells pummelled the house and road. With walls collapsing and shrapnel flying something hit him without his realising it. Suddenly he was falling yet he was unsure why until he heard people calling out that he’d been hit and that he was probably a goner. The all too vivid recollection that a thumb sized piece of metal had pierced his jaw just below his ear and lodged roughly behind his tongue, is chilling. Yet amongst the horror, word spread to the line that Padre Cowl had been hit. As he was stretchered into an ambulance, Herbert looked out from his bandages to see the worried faces of many ordinary soldiers who had come to wish him luck. A lump formed when I read how upset they were when they realised that their brave young Padre could not speak to reassure them as he had done so many times before, and was driven away. 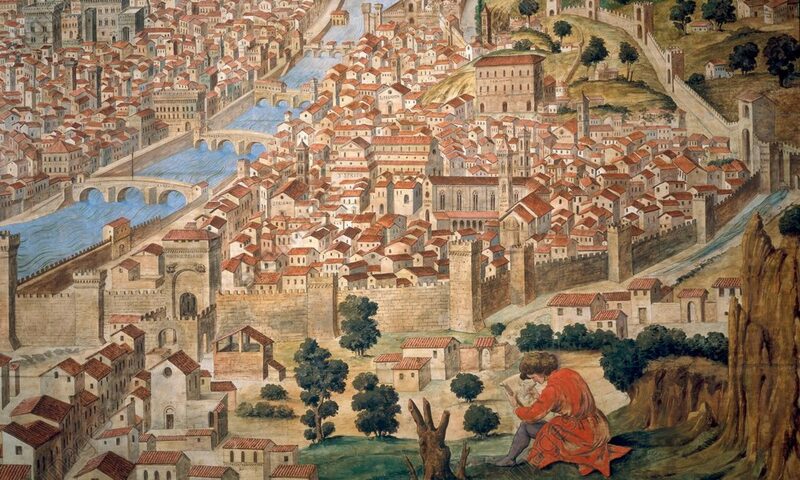 Herbert however seemed to have been part of a much larger, master plan. For as Anglia sank, although wounded himself for the second time, he swam to the rescue of many floundering wounded, survived himself and was awarded the Military Cross for his bravery. His story didn’t stop with the cessation of hostilities, for he would experience the home front during the next war as well, but his services as a frontline Padre were never again called upon. 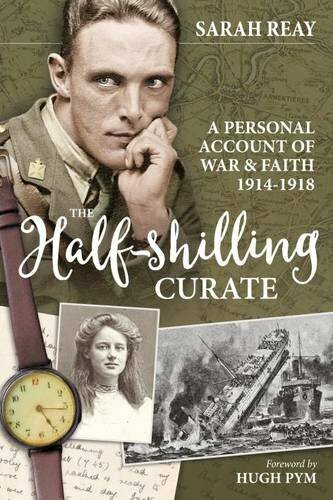 The story of the Half Shilling Curate is one that opens both door and window to the vital role played by Chaplains in keeping up morale during WW1. It is also a tribute to a good and courageous individual. It is utterly original, splendidly edited and well annotated, we see the man and the mission, the attitude of that generation to privation and injury, and the cost, which might have broken a soul that did not have Herbert Cowl’s faith. It is a story of many interesting turns, all told with Herbert’s personal writings as a guide, and illustrated by many excellent period photographs. Yet perhaps I will remember it best for the simplicity of an early war scene, behind the lines. A doctor and Chaplain, sitting in the twilight of a French evening, smoking and exchanging ideas and thoughts, while the searchlights played on the horizon and the angry voice of war spoke in the distance, heralding what was to come. A Look at the Half Shilling Curate.